Perfection and beauty of art doesn’t have to be expressed only by flat forms. How about a truly architectural theme? It is irreplaceable. A concept has become reality. 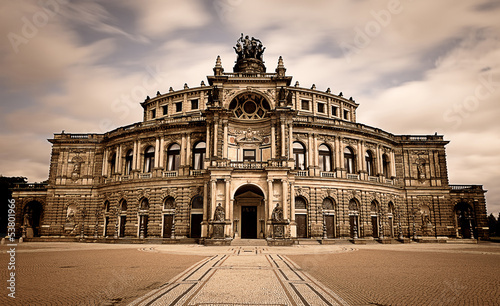 The photo wallpaper depicting the Dresden Theatre will be a perfect addition to daily and living rooms.